Do you start a new project with a game plan in mind? Can you see the project taking shape in your mind and what the final product will look like? Before I start a furniture makeover I have a plan in my head. I can see the finished makeover in my mind’s eye and I know what steps to take to achieve the look I want. But sometimes the way I see a project in my mind is not the way it’s turning out on the paint tarp. I hate when that happens…but what do you do? 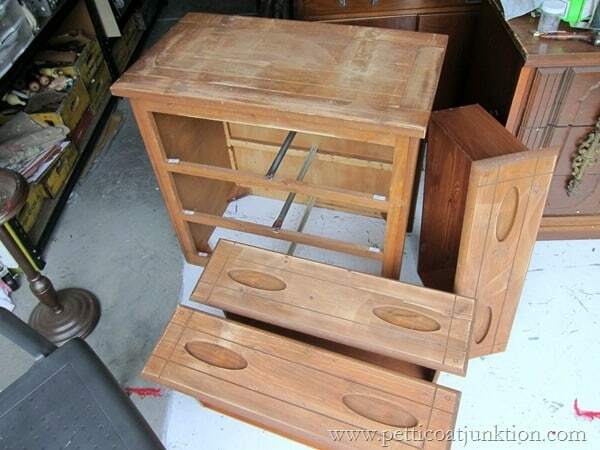 I bought this piece from My Favorite Junk Shop. I think you may have heard me mention it a time or two. I don’t remember what I paid for this chest. It was probably around $30. Someone used duct tape or another sticky tape on the top of the chest at one time or another. The sticky residue is really hard to get off. 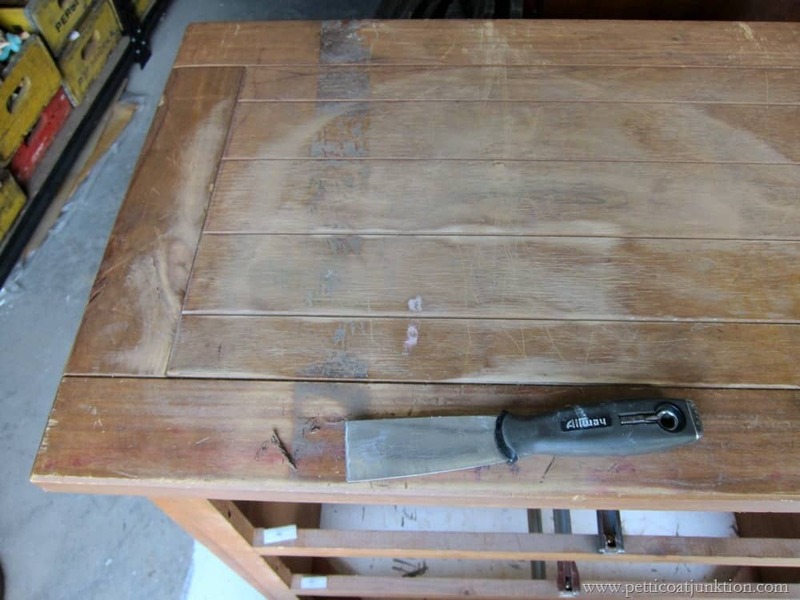 You don’t want to use mineral spirits, WD-40, or anything oil based because it’s hard to remove the oil from the wood and it will leach through your paint. There was still a little sticky stuff left….it’s still there. There is only so much time you can spend working on a project. I’m painting this piece for re-sell and I try to put a realistic price on the pieces I sell. Spending hours and hours on prep doesn’t make sense.. I think I removed enough that it shouldn’t be a problem. The chest was screaming nautical or beachy at me. Can ya’ll see that for this piece? 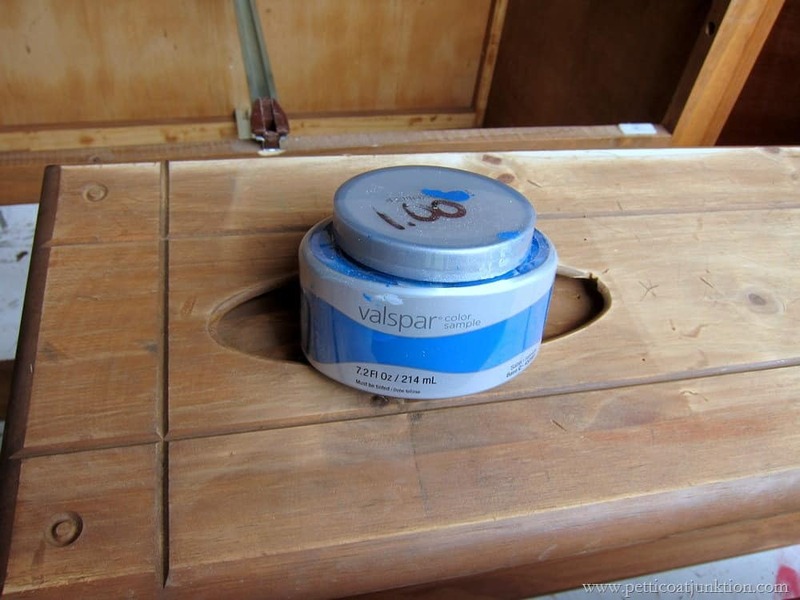 I pulled out the sample of Valspar that I used for my American Flag Sign and also on the Nautical Pub Table. It’s really a pretty color….Pacific Pleasure….nice name too. 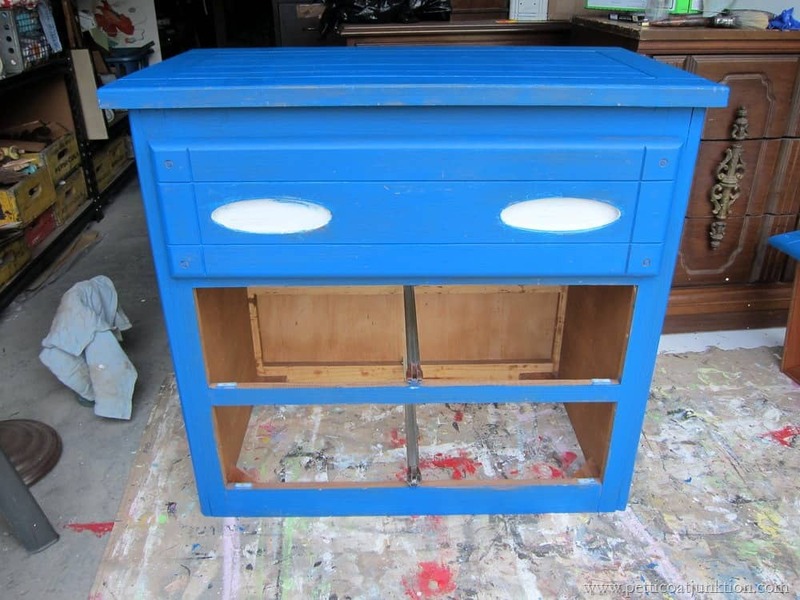 So I painted the chest and I had a plan to paint the cut-out drawer pull holes in white. Leave a comment…please…and come back for the project reveal! I would paint the drawers white and then paint a playful sail boat or tug boat on waves in the drawers. You would do some sanding on the rest of the piece. some anchor handles would be nice. If I were selling, I would certainly use paint colors that I thought would sell. Too much work otherwise. Anxious to see PLAN B.
ha…I certainly was dazzled! I love the blue but the contrast of the white and the shape of the cut-outs was just too much. 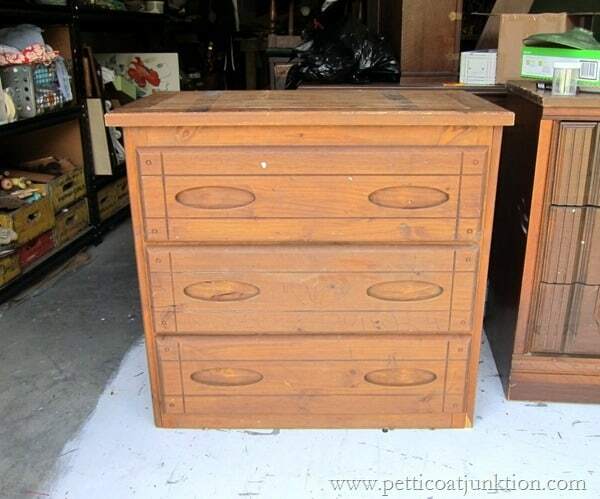 I mean…the photo with one drawer in…made the chest look like an alien, lol. How about using white paint over elmer’s glue and letting some of it crackle, revealing that wonderful blue color? Do you ever have any problem finding a buyer? Or are you just too good to miss! I admire your pieces and your energy and am learning by doing in my garage. So thanks for all you do! That’s a great idea Linda but I’ve already done something else to it. Yes I do have problems finding buyers. I have a booth in a shop and sometimes a piece sells right away and sometimes it’s months. The neutral colors, black, white, sell pretty fast but the others are a little slower. I could paint all black and white but you know how I love bright colors! How about advertising on Craigslist?